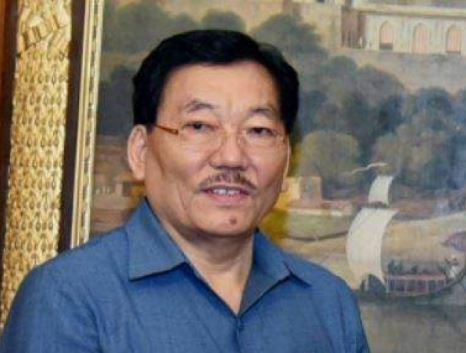 The Chief Minister of Sikkim Pawan Kumar Chamling has announced the One family one job scheme to provide employment to the youth of Sikkim. One family one job scheme entitles one government job for every family in the state. The Chief Minister handed over appointment letters to over 12,000 unemployed youths at an employment fair organised at the Paljor Stadium in Gangtok. Only members of those families which do not have a government job at present are eligible for government employment under the scheme. Sikkim government has announced that the nature of the job is not temporary and would be regularised after five years. Sikkim is the first state in the country to launch an exclusive programme which entitles every family in the state with a government job and Sikkim earmarks 70 percent of its revenues towards salaries for state government employees. As of now, the state government has over 1 lakh regularised employees on its rolls from a population of just 6.4 lakh. Sikkim is also the only state in the country that gives the highest salaries to state government employees.